The San Antonio Spurs handed the Los Angeles Lakers their worst home NBA playoff loss in club history on Friday, crushing the injury-hit Lakers 120-89 to push them to the brink of elimination. Tim Duncan scored 26 points and grabbed nine rebounds and point guard Tony Parker contributed 20 points for San Antonio, who took a 3-0 stranglehold on the best-of-seven Western Conference first-round series. Elsewhere in the West, the Golden State Warriors erased a 12-point halftime deficit then held on in the furious final minutes for a 110-108 victory over the Denver Nuggets. Stephen Curry scored 29 points despite an ankle injury, and handed out 11 assists for the Warriors, who took a 2-1 lead in the series. Denver's Wilson Chandler drained a three-pointer with 16.5 seconds left to trim Golden State's lead to 109-108. The Warriors called timeout with 9.4 seconds remaining, but when they then tried to inbounds the ball they were called for a five-second violation. But Denver couldn't take advantage as Ty Lawson, who scored 35 points, turned the ball over on the Nuggets' next possession with 5.3 seconds left. 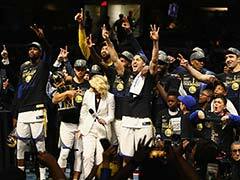 Golden State's Harrison Barnes made the second of two free throws go give the Warriors a two-point lead with 3.7 seconds left and Denver guard Andre Iguodala's desperate shot from near halfcourt bounced off the rim as time expired. There was no such drama in Los Angeles, where the Spurs connected on 61.2 percent of their shots from the field. DeJuan Blair added 13 points off the bench, Kawhi Leonard scored 12 and Danny Green chipped in 11 for the Spurs, who will try to wrap up the series on Sunday at the Lakers' Staples Center arena. The only black spot for the Spurs was a left ankle injury to power forward/center Tiago Splitter, who came down awkwardly on the team's final possession of the third quarter. Spurs coach Gregg Popovich said he was told Splitter had a sprained ankle, and he expects him to be sidelined for an as-yet undetermined amount of time. That likely will not make much difference for the Lakers, whose previous worst home loss in the post-season was a 29-point defeat by Portland in 2000. No NBA team has come back from a 0-3 deficit to win a best-of-seven post-season series. Pau Gasol had a triple-double of 11 points, 13 rebounds and 10 assists for the Lakers, who also received 25 points and 11 boards from Dwight Howard. Darius Morris scored 24 points and Andrew Goudelock added 20, but the Lakers could not overcome the absences of superstar Kobe Bryant, former Most Valuable Player Steve Nash and Steve Blake. Bryant is out after tearing his left Achilles tendon in the last week of the regular season. 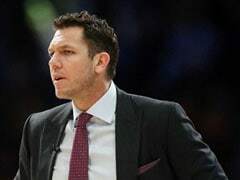 Blake has a right hamstring strain and Nash was sidelined with a right hamstring strain and recurring hip problem -- despite receiving pain-killing epidural injections in a bid to play. Jodie Meeks missed a second game for the Lakers with a sprained left ankle. Spurs coach Gregg Popovich was pleased his team didn't let up against a depleted foe. 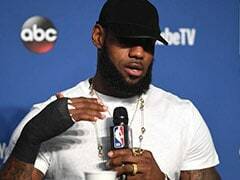 "Whether the team you're playing is whole or banged-up like the Lakers obviously are, the team that's on the court still wants to win," Popovich said. "You have to bring the energy and the professionalism to play. 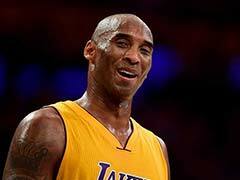 You don't assume you're going to win a basketball game because Kobe's not there or this guy's hurt or that guy's hurt."